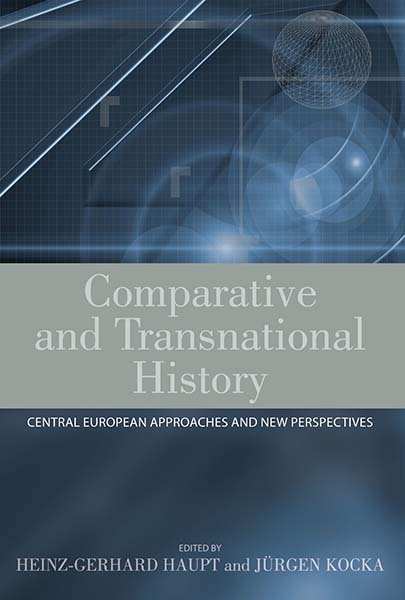 Heinz-Gerhard Haupt is currently Professor of European History at the European University Institute. Previously, he was at the Universities of Bremen (1974–93), Halle (1993–98), and Bielefeld (1998–2004). He has been a Visiting Professor at the École des Hautes Études, Paris, University of Lyon II, and Columbia University and a Fellow at Princeton University. His publications in English include The Petite Bourgeoisie in Europe 1780–1914: Enterprise, Family and Independence (with G.Crossick, Routledge, 1995) and Europe in 1848: Revolution and Reform (edited with D. Dowe, D. Langewiesche, J. Sperber, 2001). Jürgen Kocka is currently Professor for the History of the Industrial World at the Free University of Berlin, Research Professor at the Social Science Research Center Berlin and, regularly, a Visiting Professor at the University of California Los Angeles. Between 1973 and 1988 he taught in the University of Bielefeld. He has published widely in the field of modern history of Europe. His publications in the English language include Facing Total War. German Society 1914-1918 (Berg, 1984) and Industrial Culture and Bourgeois Society. Business, Labor, and Bureaucracy in Modern Germany (Berghahn, 1999). Chapter 1. The debate between comparison and transfers - and what now? Chapter 10. Germany and Africa in the Late Nineteenth and Twentieth Centuries: An Entangled History?